hd00:16Moscow, Russia - October, 2016: IgroMir Expo 2016 and Comic Con Russia 2016 in Moscow, Russia. Kids playing video games on PlayStation PS4. 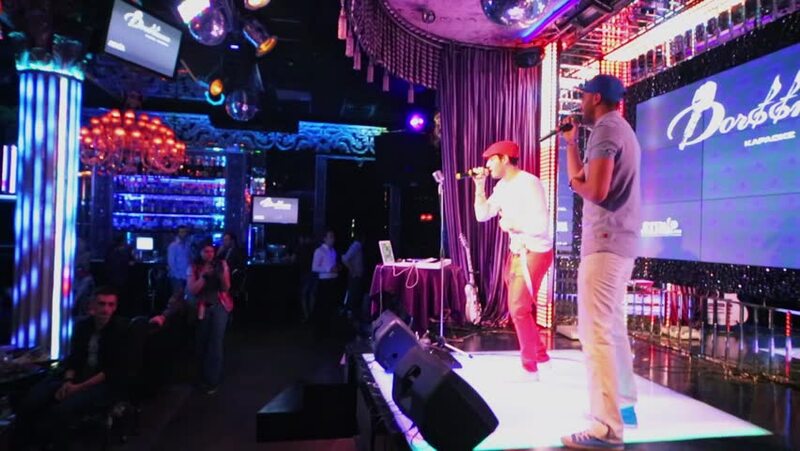 hd00:30MOSCOW, RUSSIA - JULY 2, 2015: Vakhtang and Andrey Grizz-lee perform on a stage during opening of summer terrace restaurant "the Gosty by Vahtang". 4k00:17LAS VEGAS - SEPTEMBER 28, 2015: A clown juggler performing at the free hourly shows at Circus Circus Hotel and Casino in Las Vegas, Nevada.